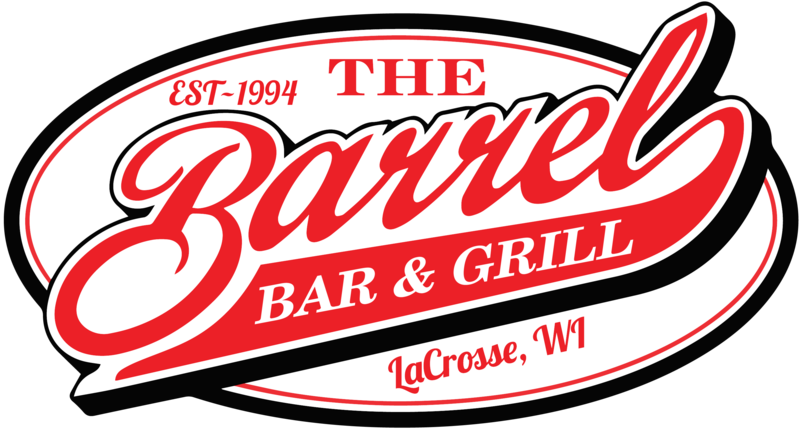 The Barrel Inn Bar & Grill – La Crosse, WI – "May The Sports Be With You!" MAY THE SPORTS BE WITH YOU! The Barrel Inn Bar & Grill is your go-to place to watch the game with your friends and enjoy great food and your favorite drinks! A great place to watch the best in sports! Everything from BASEBALL to FOOTBALL, BASKETBALL to NASCAR, and everything in-between. The Barrel Inn has 14 HD TV’s located throughout the bar and you will find all the games available with both the NFL Sunday Ticket and MLB Extra Innings! The Barrel Inn features a fun outdoor seating area with TV, picnic tables, gas fireplace and comfortable seating in the BULLPEN Beer Garden. EARN FREE DRINKS, APPETIZERS, BARREL PARTIES, APPAREL & MORE!